While i was still reviewing the recent 3.75GB MTN data plan recently launched, another one just graced my day. I think this is far better than others and i salute MTN for it. 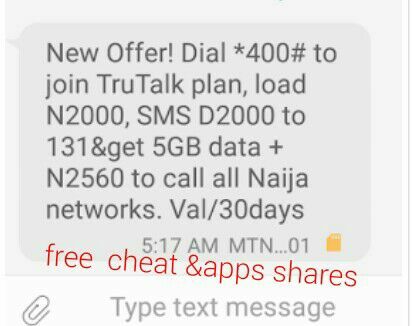 Before now, we use to pay N2,500 to subscribe for MTN 4.5GB data but now you can get 5GB including free N2560 Airtime to call any network for just N2000. Isn't that a good development by MTN? Though we expect more affordable data plans but this one is one step closer to achieving that. 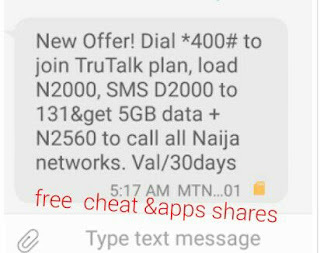 To get this, you must be on MTN TrueTalk tariff plan, then load your line with N500 and SMS V500 to 131 you will be given both the data and airtime but this time, its valid for just 7 days. I am expecting competition from from other networks like Etisalat, Airtel and glo. 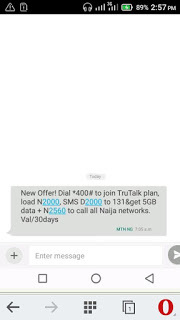 They need to counter MTN or they loose a good number of their customers especially this period of free data scarcity. 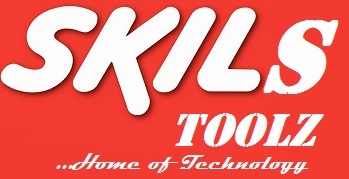 With more competition, the subscribers will gain.